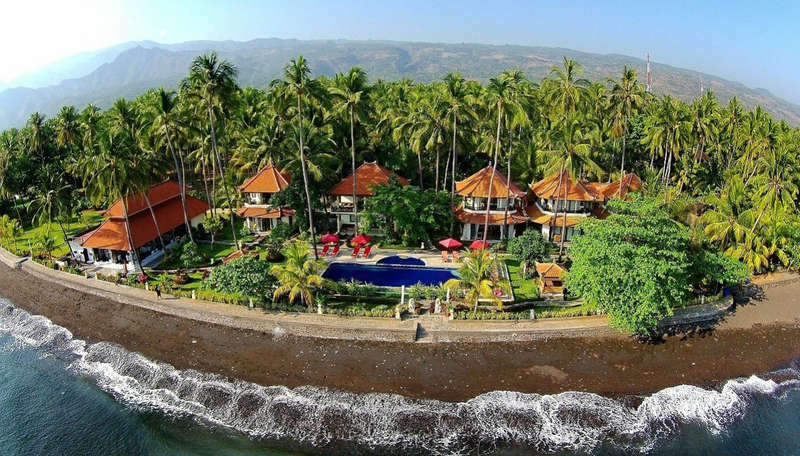 Villas of Bondalem Beach Club are located 15 meters from the beautiful beach of Bali Sea and create unique, intimate atmosphere for the guests. All of the four two-storied bungalows are similar. 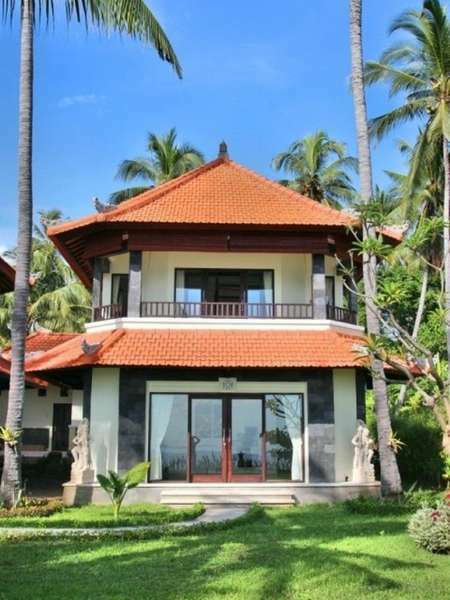 All are beachfront with balcony on the second floor overlooking magnificent ocean. 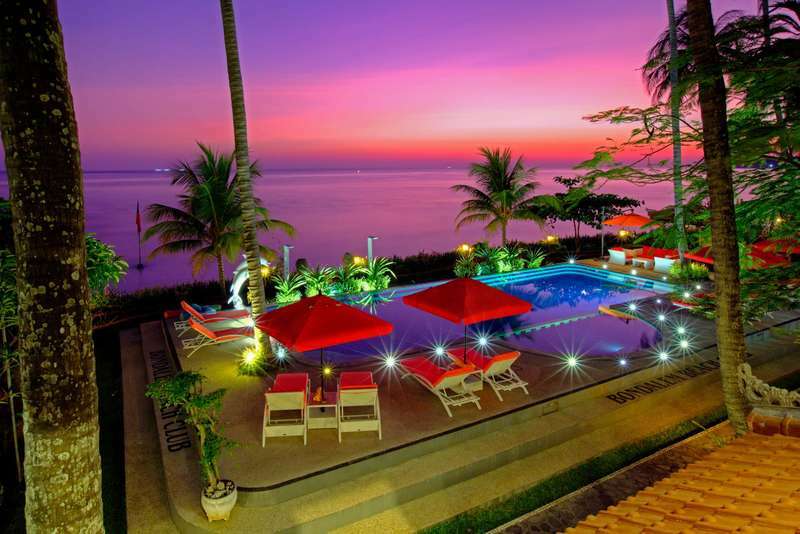 Each bungalow can accommodate 4-5 persons. There is a king-size bed on the second floor with balcony. On the first floor we have two sofas which can be transformed into king-size bed. Upon your request we provide baby cot for free. Restaurant invites you to enjoy a variety of Indonesian and European cuisine. You can choose from a menu or ask the staff to cook for you something individual. You can also buy fish from local fishermen and ask to cook it for you or enjoy cooking it by yourself on the barbecue. Family bungalow rented out at one price for accommodation - no matter it is occupied by a couple or by family of 4. Standard double room paccommodation priced for a couple, extra bed available inside, usage of it by extra person subject for extra surcharge.